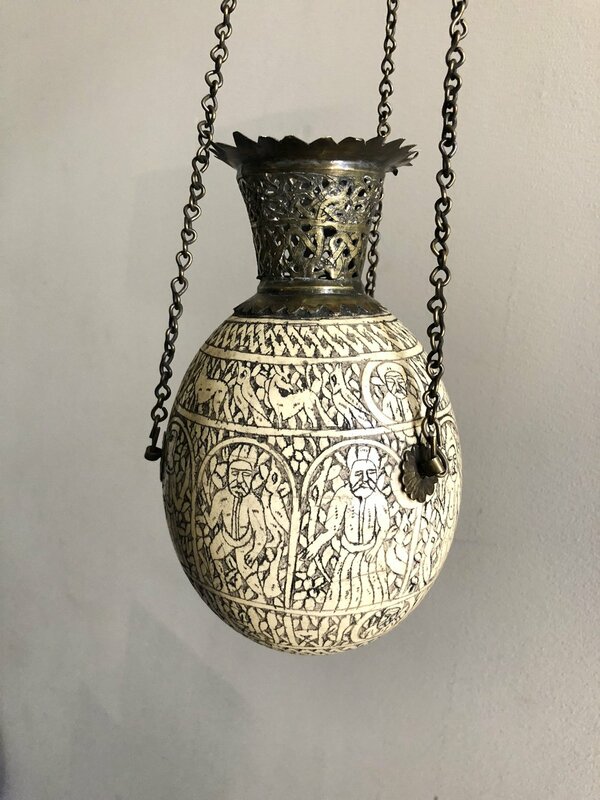 Serpentine "oil lamp" with snakes and animal head. 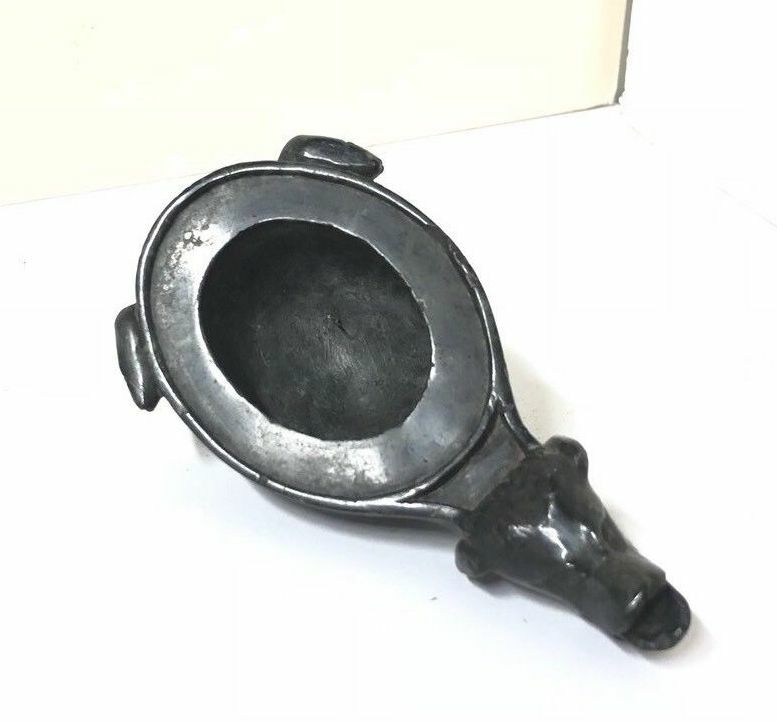 Enigmatic object made of serpentine in the form of either an oil lamp or a brush washer. Not made with modern tools, but entirely by hand. Possibly ancient. 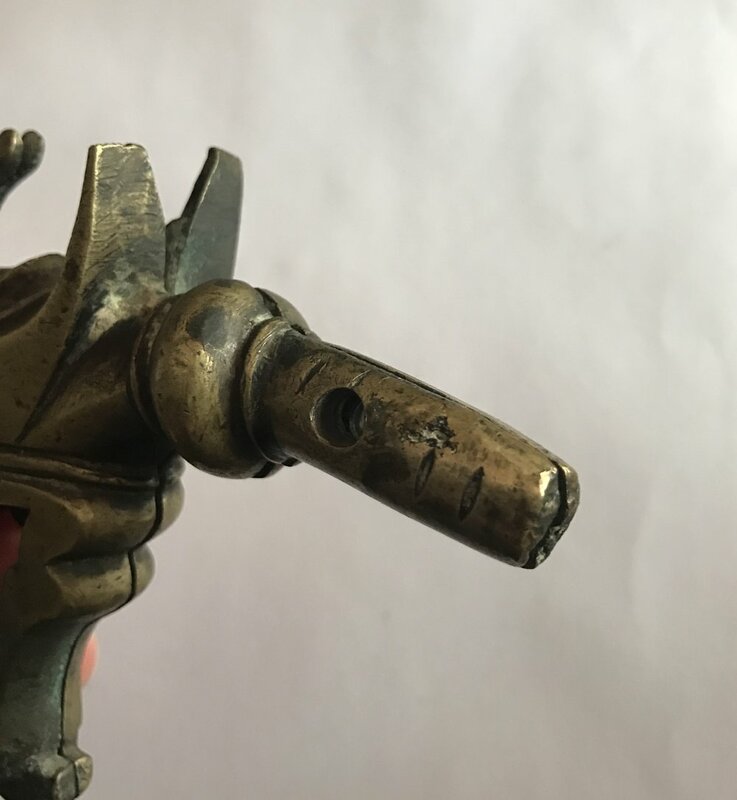 18th-19th Century "Eye of Providence"
Brass frame with tinned "Eye of Providence". Curiously hinged with catch, presents nicely from both sides. Loop for suspending. 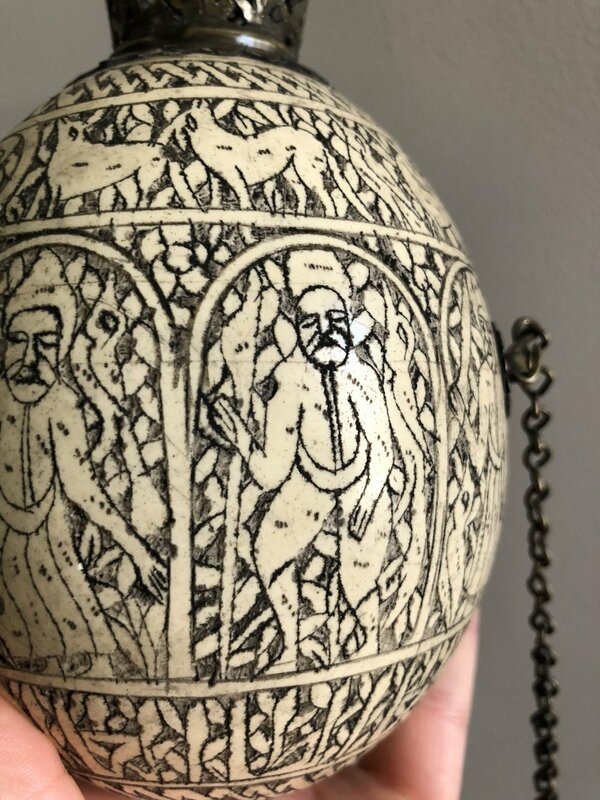 Rare Ostrich Egg, Etched. Possibly Syria, 18-19th Century with Islamic script. 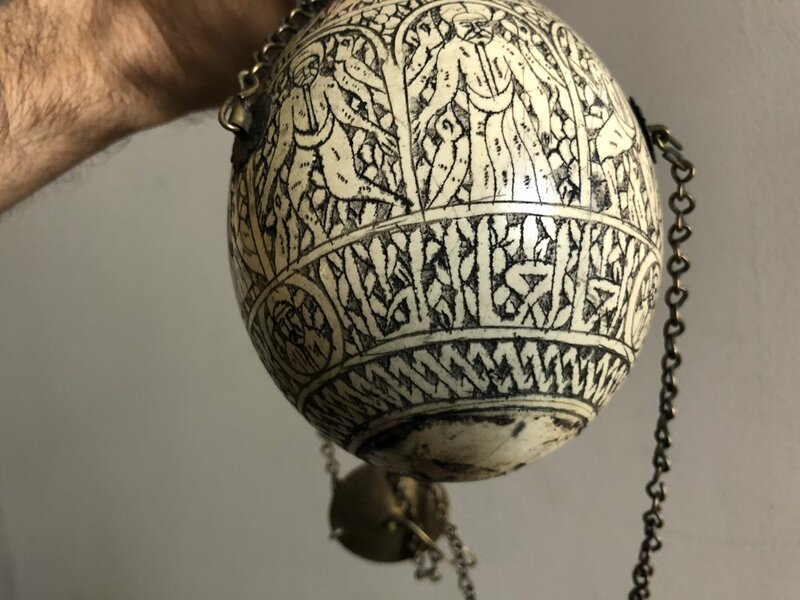 Safavid dragon head alam finial from the 16th-17th century. Likely from a pair that would have flanked either side of a processional alam or similar. Bronze, in two matching halves. 3.5 x 4.5 x 1 inches. 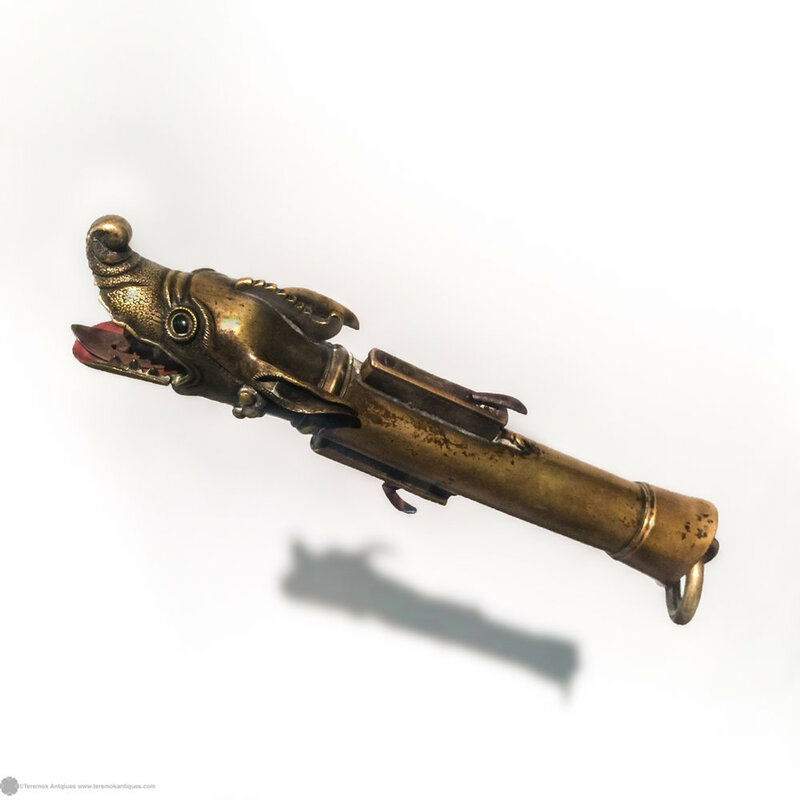 Makara Dragon Headed Bronze Device. Probably 19th century. Jodhpur, India. *Suthar is a caste in India that is made up of carpenters. 7 L x approx 1 3/4 w inches. Betel Nut Mineral Lime Container, 19th century. Sri Lanka.